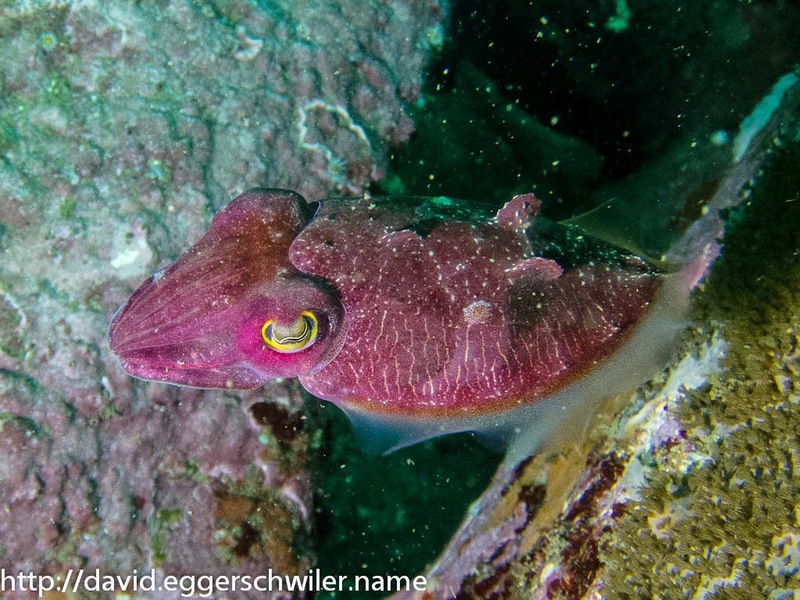 Diving in Sydney is nothing for the casual diver, it is coldish (17 - 18 ° Celsius at the moment) and the visibility is often quite limited (5 - 10 meters). On the other hand, there are many interesting creatures to discover. 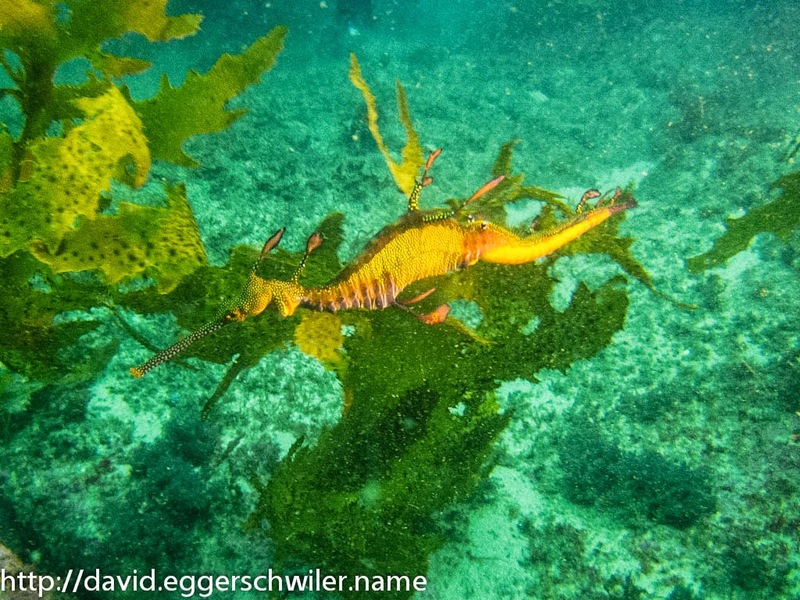 What brought me to Sydney was the Weedy Sea Dragon, a relative to the Sea Horse. Since I first spotted a Weedy Sea Dragon in Boston aquarium I knew that one day I'll meet them under water. Our second dive day brought us to Magic Point, which is mainly famous for it's resident population of Grey Nurse Sharks (not related to the Tawny Nurse Sharks I saw in Fiji), but also hosts a couple of Weedy Sea Dragons. While the visibility at the Shark cave was extremely bad (lots of silt in the water), we did get to see a Weedy Sea Dragon close up :). With that off the list, I could then appreciate the other animals. 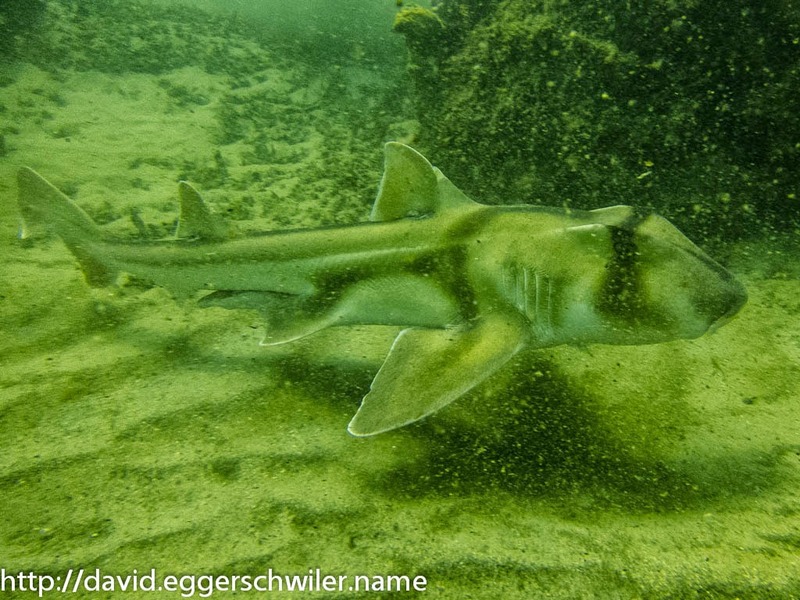 Such as the frequently encountered Port Jackson Shark (a distant relative of the Horn Shark I saw in California). 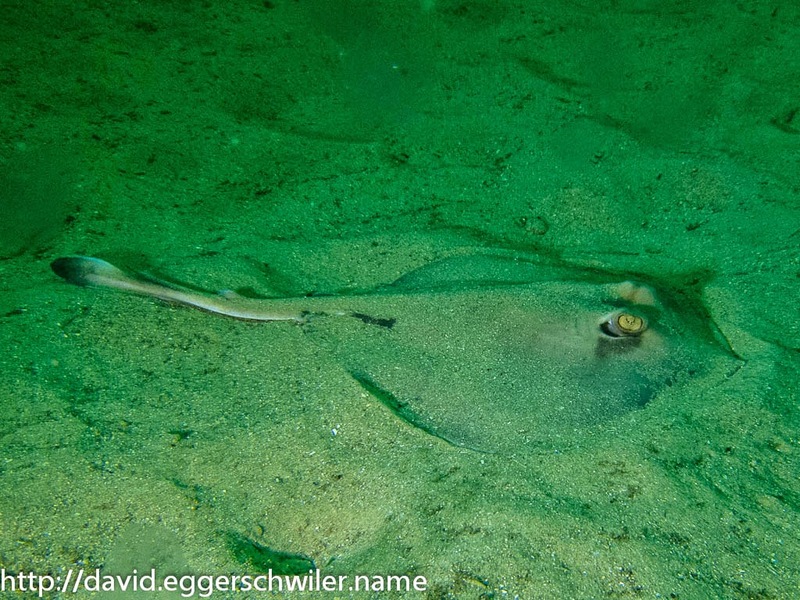 On one dive we saw about 15 of them lying on the sandy bottom! 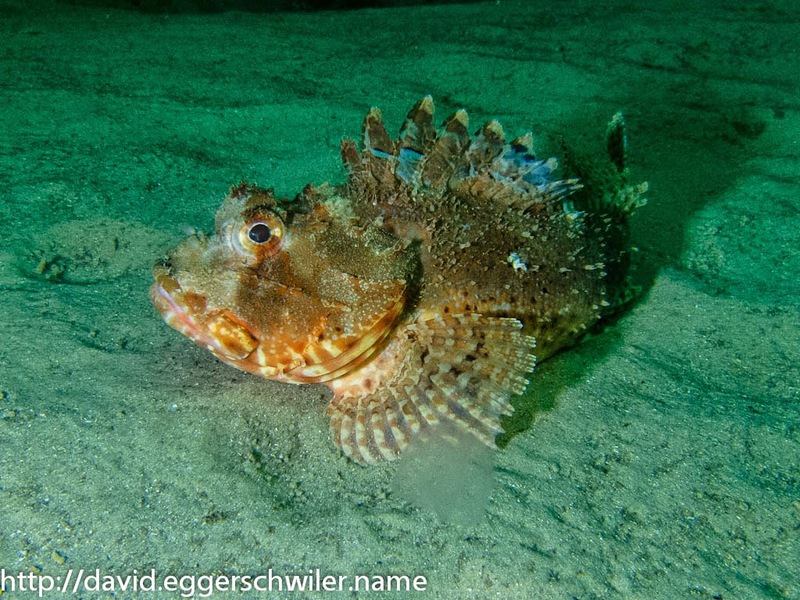 Another frequent guest on our dives was the Red Rock Cod, a member of the Scorpion fish family. 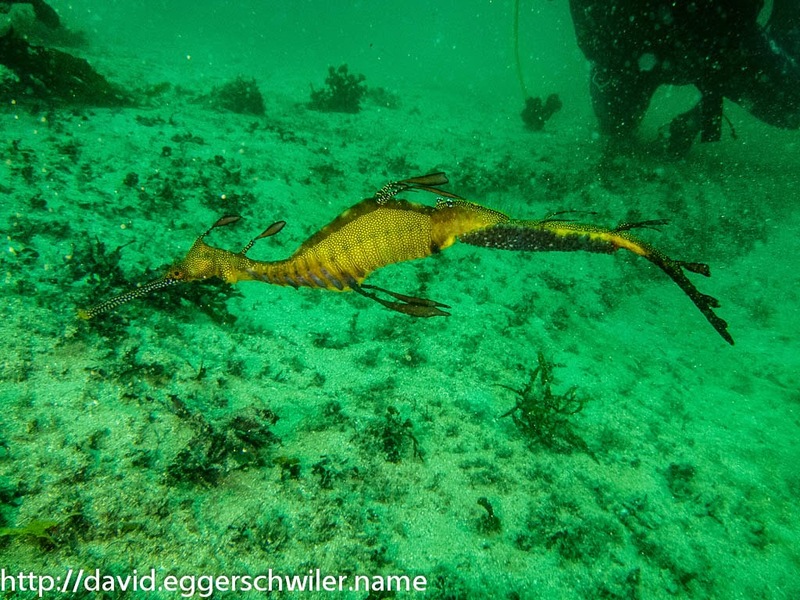 During my second dive to Magic Point we got to see the Grey Nurse Sharks a bit better, but not good enough for quality pictures, and we got to see another Weedy Sea Dragon, this time a pregnant male! On my last diving day, we visited the Royal Shepherd Wreck, which sank in 1890. Most of it was buried in sand, but the propeller, anchor and part of the boiler was still visible. More interesting were the Common Stingarees which stayed close to the Wreck. 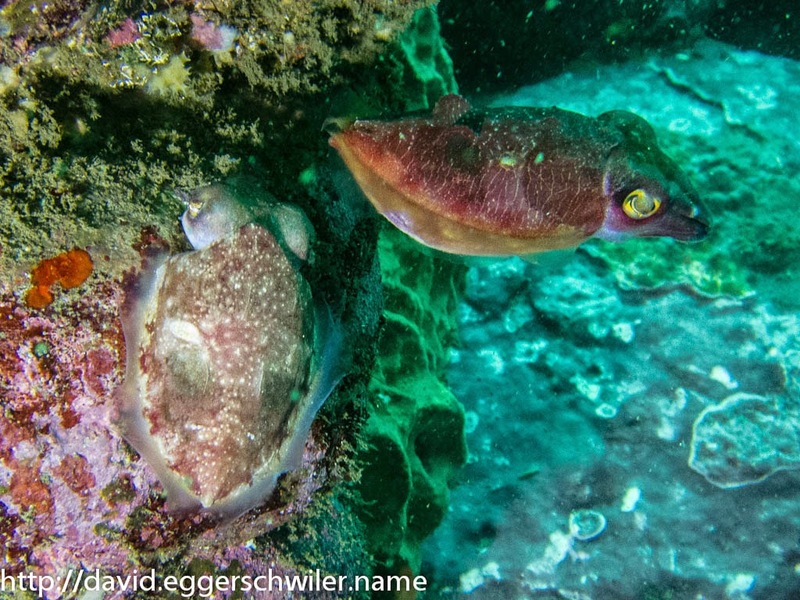 The last dive at The Waterfall had a real treasure to offer: Two juvenile Cuttlefish! In summary I really enjoyed diving in Sydney, despite the cold temperatures and the short dives. More pictures of these dives can be found in my Sydney webalbum.